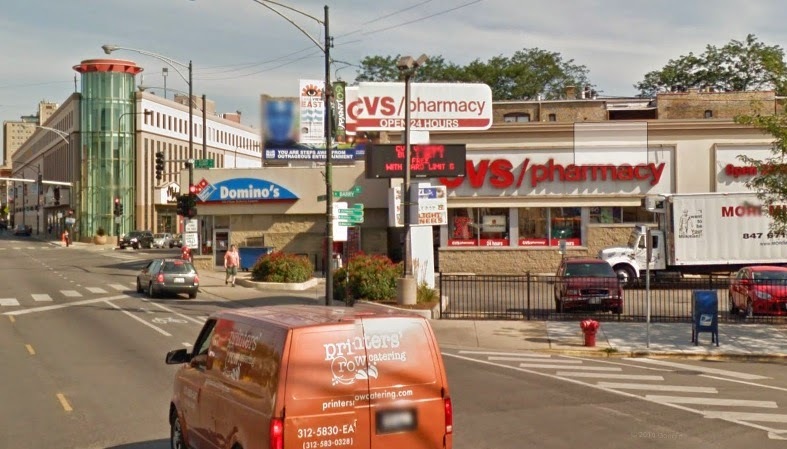 Police captured a man who allegedly passed a threatening note and robbed the CVS Pharmacy at Halsted and Barry around 7 o'clock this morning. According to a witness, the offender—described as a white man, about 5'4" tall, wearing blue jeans, glasses, and having a striped shirt covering his face—stated that he had a gun, but no weapon was seen or recovered. After taking several hundred dollars, the robber fled southbound on Clark Street with the CVS manager in hot pursuit. Cops caught up with the offender outside of Panera Cares at Clark and Diversey. The robbery proceeds were recovered from the back of a taxi that the offender apparently tried to hire as a getaway cab. Police have classified the crime as an aggravated robbery in CPD case HX259567.